Description: BEST PRICE in Richmond! Only 2 yrs new corner townhouse centrally located at Garden City and Westminster Hway. 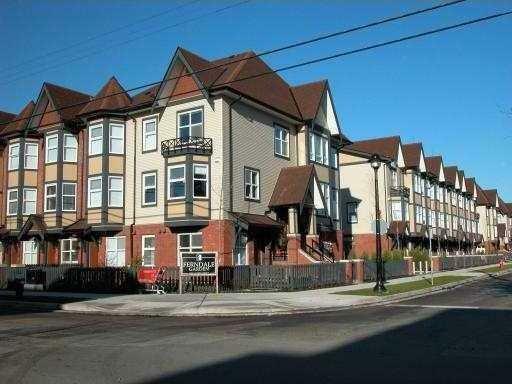 3 bdrms or 2 bdrm + den (large enough w/built-in closet and window so could be a 3rd bdrm). 2 baths, 1210 sq ft, single garage + carport, south and north exposure, H/W floor on main, bright corner unit with extra windows and low maintenance fee. Balance of 2-5-10 NHW. Close to parks, transit and schools. Immaculate condition. Meas. are approximate. Buyer to verify.